There are several other products that may be added to your benefit package on a "group basis". These are distinguished from voluntary products in that the employer must contribute a portion of the employee cost (usually at least 50%) and there are higher participation requirements than with voluntary products. These plans can be "stand alone" (meaning that the insurance carrier that handles your dental insurance is not the same as the insurance carrier that handles your medical insurance) and, depending upon how it is set up, the employees do not have to enroll in the medical plan to enroll in the other group products offered by your company. 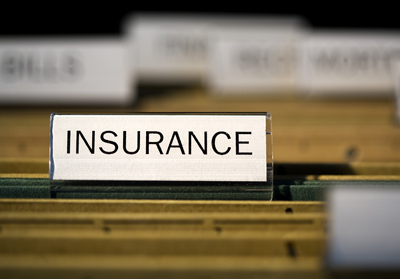 Once again, there are many different insurance companies that offer these products. Some are really good in one area but not so good in another. The right carrier needs to be matched with the make up of your employees. Life Insurance - most medical plans have a minimum amount of life insurance attached, but many carriers no longer require you to purchase life with the medical. You may purchase a group life product separate from the medical and get less expensive rates. Keep in mind, the value (premium) of any amounts over $50,000 are taxable to the employee. Dental Insurance - Employees love dental insurance because they use it once or twice a year. It is probably the single most popular ancillary product. Most products will let you go to any dentist, however to avoid the problem with "balance billing" (dentist charges you the "balance" of what they normally charge for a procedure versus what the carrier allows) it is important to examine the network and the average amount the carrier pays for procedures in your area ("percentile" - some carriers pay in the 90th percentile, some in the 70th; some carriers offer a choice of policies). Long and Short Term Disability - If purchased together the two policies should "dove tail" together; the Long Term begins when the Short Term ends. The Short Term is set up to begin relatively quickly (after 0, 7, 14, or 30 days) and pays disability benefits for 90 or 180 days (usually). Then the Long Term begins and pays for 2 years, 5 years, or to age 65 (usually). Compare to individual disability insurance the cost is much less, but the policies are limited in dollar benefits paid (depending upon the policy; 60% of salary to a maximum benefit of $1,000 a week for short term and $6,000 a month for long term). Some higher paid employees may want to purchase individual plans to pick up the slack. With any disability plan you need to pay attention to the definitions. What is the definition of Own Occupation, Regular Occupation, Partial Disability, even Salary (you may have employees on a commission or a bonus structure). Vision Insurance - Several companies offer vision insurance and some of the main vision carriers have been acquired by large medical carriers (although they still do business independently). This is another popular employee benefit and is relatively inexpensive to add. Most carriers require 10 employees to enroll. Long Term Care Insurance - There are several insurance carriers that offer Long Term Care on a group basis. The policies are portable (employee can take them with them when they leave), there is some flexibility in plan design to each employee, and premiums are discounted. Cafeteria Plans (Section 125) - these plans are sold as either Premium Only Plans (POP) or Full Flex Plans. Premium Only Plans allow the employee to pay for their portion of medical premiums (for themselves and dependents) on a pre tax basis. It is relatively simple to install and inexpensive. The Full Flex Plans are what most people think of when they think of "Cafeteria" Plans. The Full Flex allows employees to put money aside to pay for medical expenses (deductible, co insurance, doctor visits - including co pays, prescriptions, dental expenses - even if the company has no dental plan, eye glasses, etc) also on a pre tax basis. Employees can also pay for child care on a pre tax basis (up to $5,000). Full Flex falls under the "use it or lose it" rule with the IRS. Any unused money left in the account at the end of the year is lost. It is important to note that not only does the money put into the account avoid income taxation but also employee and employer FICA tax. The employer savings in FICA tax usually will pay for most of the expense of implementing 125 plan.